If you’re dreaming of a modern, oh-so-adorable boho baby nursery for your little one, you may be wondering how to get started. 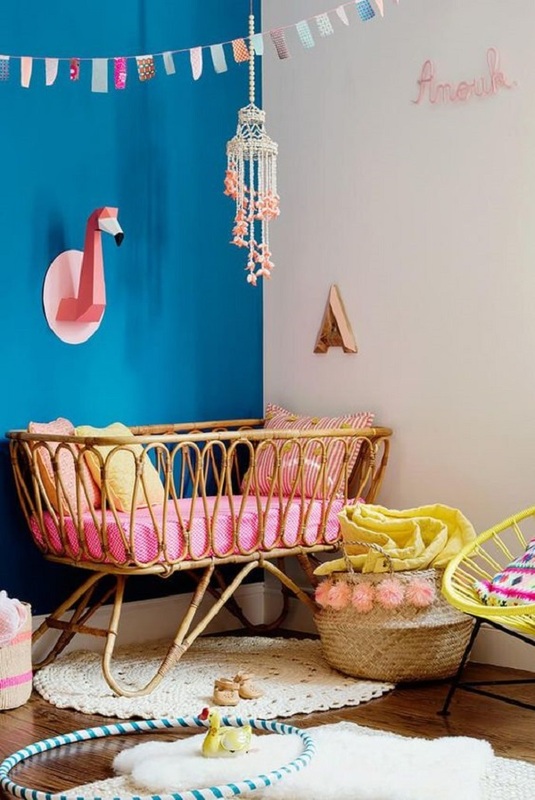 Although bohemian style nurseries look put together in a hurry, they are often carefully planned to ensure the perfect balance of patterns, colours, and styles. This type of baby nursery can be surprisingly versatile, with a number of takes on the classic theme. 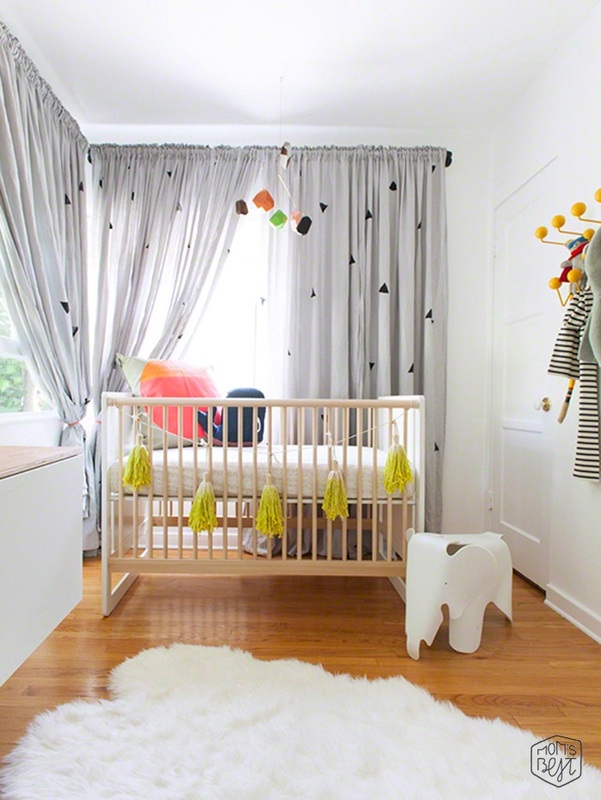 If your home runs more to a minimal look, minimal boho nurseries have a calmer look with less distraction. If you prefer your decor style loud and proud, you could try a jungalow look or something bold and creative. 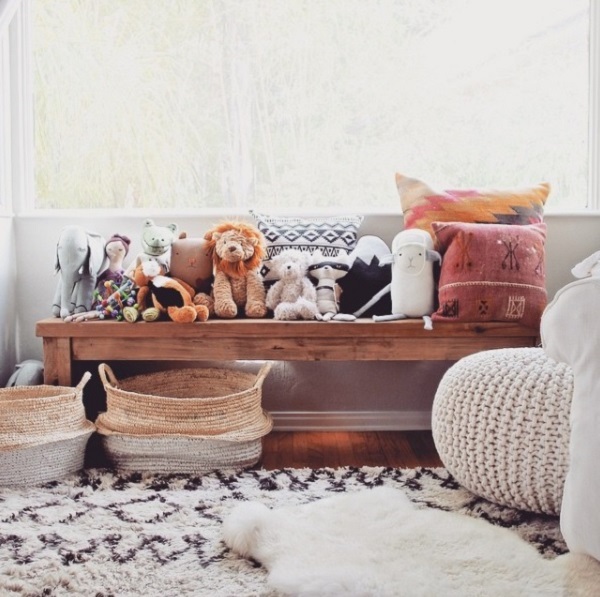 Ready to find out how to make the boho baby nursery trend work for your baby? Let’s take a look at the most important ingredients to pull off this look. One of the simplest ways to inject a touch of boho cool to your nursery is to add a statement piece to the room. 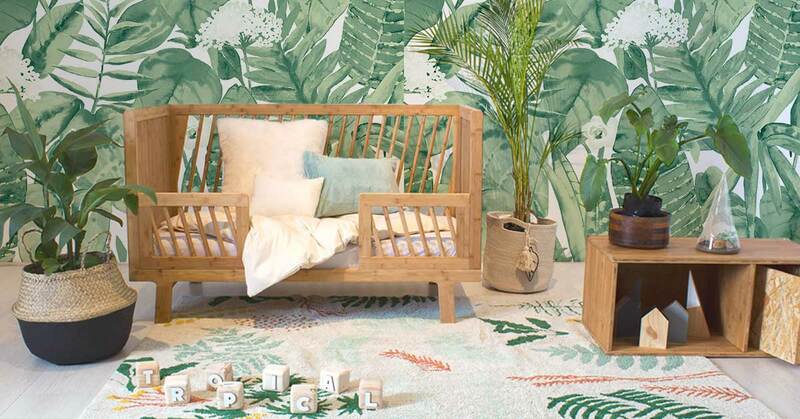 A rattan crib offers a versatile crib choice that works with just about every type of boho style. Try the gorgeous Rattan Cane Baby Crib by Lu & Barnabe, which is made locally from Kooboo cane by traditional craftsmen. Available to order from Clever Little Monkey, this beautiful crib can be dressed up or down, adding plenty of impact, while giving your little one a safe space to slumber. Or try our gorgeous Bambu nursery range for that added natural touch. Natural seagrass baskets work well with wood, cotton, wool and other organic materials. Belly baskets are also a great way to keep nurseries tidy. They can be used to store toys, books, bedding, and other goods, or even to display plants. If you are choosing plants for your nursery, look for leafy plants that are non-toxic to little people. Cacti can be great while your baby is very small, but may not be as safe once the walking and grabbing phase begins. Another tip is to look for washable cotton rugs, pillows, poufs, and blankets that can be thrown into the washing machine without any damage. Inject a few quirky details. A few brightly coloured baby scatters, a Berber cushion, a lush sheepskin rug, a funky side table or chair, and a few interesting decor touches will bring the room together and complete the look. What makes this look easy is that you can mix and match patterns, colours, and textures, even if they do not traditionally work together. To avoid clashes, you could stick to a general colour scheme or limit bright touches so that they do not overpower the room. Shop our range of Lorena Canals tassel garlands in several colours. What do you love most about this look? Share your thoughts below and let us know! If you’re looking for a wide range of decor, blankets, cushion and other essentials for your boho baby nursery, be sure to stop by the Clever Little Monkey online store to see what we have on offer.